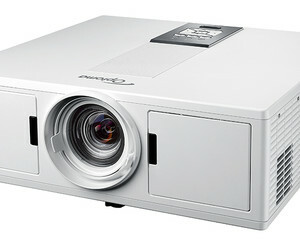 The Optoma ZU510T entry-level laser projector enables good image quality for every professional application. Designed for the professional AV market, the product includes features that deliver quality performance, flexibility for the installer, little maintenance and low cost of ownership for the user. 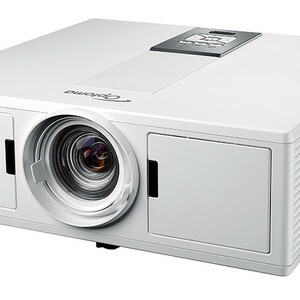 The projector delivers an ultrabright 5500 lumen WUXGA image and features DURACORE laser technology for bright, vivid and accurate colours with high-contrast detailed visuals (98.7% REC.709 colour gamut coverage and 300,000:1 contrast ratio). The mercury-free laser light source is rated up to 30,000 h and is enclosed in an IP5X airtight optical engine, which ensures a dust-free environment and reliability with minimal maintenance during its lifetime. Designed to be versatile in any installation environment, the product includes 360° mounting options, portrait mode projection and 24/7 operation capabilities. In situations where absolute darkness is required, the product can provide a total blackout. Crestron RoomView, Extron’s IP Link, AMX dynamic device discovery and PJ-Link protocols are also fully supported, allowing nearly all aspects of the projector to be controlled across a network for complete control from any location in the room. The product is installation friendly, with four corner adjustment, colour matching mode, large zoom range, PureShift and HDBase. The Sony Vision Exchange collaboration system is designed for education and corporate users. 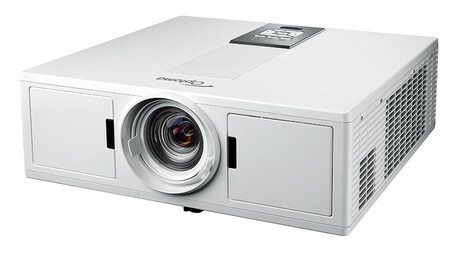 I am interested in Optoma ZU510T entry-level laser projector .